This skull can be disassembled into skull cap, base of skull and mandible. 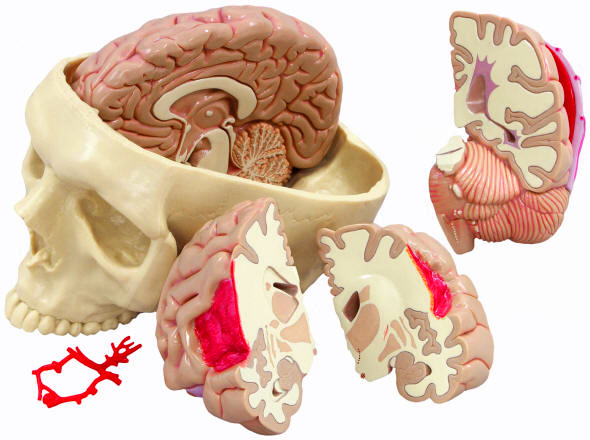 The midsagitally divided brain is cast from an original anatomic specimen. The components of the left half are: frontal lobe and parietal lobe, temporal lobe and occipital lobe, encephalic trunk and cerebellum.